We were at the Sanya Haohanpo Gloria Hotspring Resort (Pretty inexpensive place with roughly 20 different types of hot spring water to relax in.) and needed lunch, so we went to this restaurant next door clad in our bathing suits. This restaurant surprised us with excellent food at reasonable prices. The coconut Hainan chicken and Sautéed seafood snails were especially awesome. The coconut rice we ate here, had sticky rice sandwiched between a slice of young coconut, awesome. 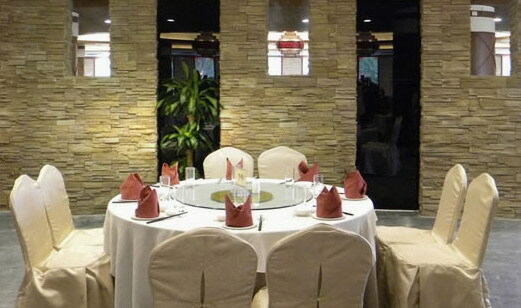 This upscale restaurant is mainly used by tour groups. This area is also known as Nantian and is filled with hot spring resorts.